Wild West Online Steam Debut in May | Nerd Much? Wild West Online is ready to shed the shackles of its Early Access designation and head out to the big time. The title’s developer’s have announced that the game will be finally hitting Steam in May. The MMO is available now in an Early Access version exclusively through the game’s website. You can purchase the basic “Townie” edition for $29.99, the “Pioneer” edition for $49.99, and the “Collector” edition for $89.99. With each step up in the various editions of Wild West Online you’ll receive an increase in treasury notes, storage space slots, settler garment bags, gun engraving kits and small land plot deeds. No matter which edition you purchase you’ll be awarded the game’s full release via a Steam key when it debuts on May 10th. The full release is seeing all sorts of bells and whistles added to the game. There will be global rival faction conflicts, ” several major public PvP events” that will take place across various portions of the world. New missions and quests delivered to you by NPCs are being implemented. And activities such as ” expanded mining, farming, hunting, cooking, brewing alcohol for sale, and much more” are being included. Upon purchasing one of the versions mentioned above, you’ll earn some perks for your customizable character. These include 10 cosmetic bags which will help to individualize your character. As well as 10 gun skin bags that will do the same for your weapons. If Wild West Online doesn’t look like it’s up your alley, you’ve got a few other options to scratch that wild west itch. Westworld could certainly fill your need. 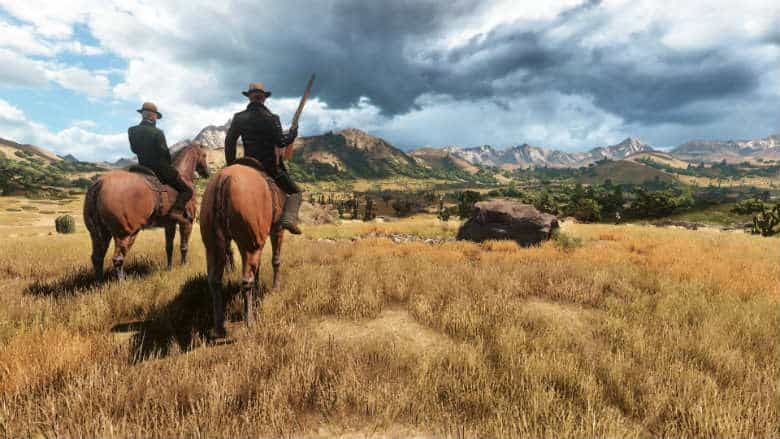 As would a trip back into the world of Red Dead Redemption. And, if you’re a patient pardner, Red Dead Redemption 2 is headed our way in October. For more MMOs headed our way in 2018 and beyond, checkout NerdMuch’s list of what’s headed our way.